This time, Prime Minister Pushpakamal Dahal is trying all the best to please India. He assigned two deputy prime ministers as his special envoys to Delhi and Beijing. Krishna Bahadur Mahara, DPM and Finance Mnister left here for Beijing as the special envoy of PM Dahal. Soon, another DPM Minalendra Nidhi is visiting Delhi at the special envoy of PM Dahal. Dahal, although, is saying in public that he will develop balanced relations with the two neighbours – India and China — in a briefing to his close party colleagues, Dahal had said that the party should not take any step from which India will become angry. PM Dahal’s foreign policy is based on the policy of “India first”. He has sent DPM Nidhi to give the message that he is eager to host the Indian President before the visit of Chinese President. 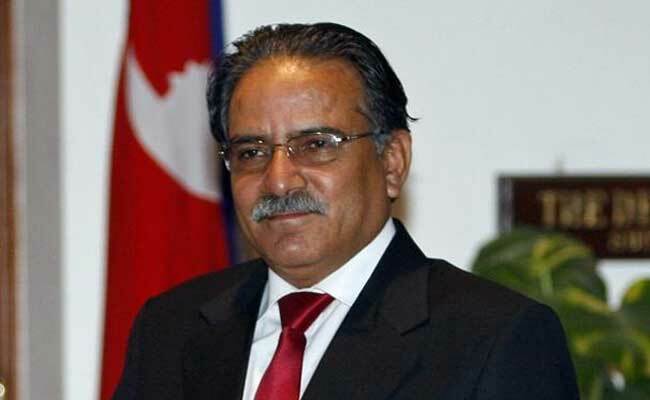 Dahal’s worry is that if the Chinese President visits Nepal before the Indian President, how will India react to him! Therefore, the Delhi mission of Nidhi is to extend invitation to the Indian President and to request him to visit Kathmandu earlier than the visit of the Chinese President. As we all know, India’s outstanding foreign policy is to promote bilateral relations with the neighbouring countries rather than engaging a third country in relations or cooperation with the neighbouring countries. By knowing the Indian mood, PM Dahal is going to insist that the three-country partnership implementation agreement signed with China must be avoided. Specially on the railway project in Nepal, PM Dahal’s government is going to propose China to develop understanding with India and develop Nepal as a bridge between the two neighbours. It sounds good but India, which has considered Nepal as her protected nation, is going to linger the proposal of Chinese involvement in Nepal-India bilateral relations/cooperation. PM Dahal is also thinking about delaying in upgrading the Kerung-Rasuwagari-Kathmandu road project. Likewise, to make happy India, PM Dahal is in a mood to reward an Indian party by scrapping the decision of the previous Oli government for construction of the Kathmandu-Nijgadh fast track road project. Bimalendra Nidhi, who was the minister for physical planning and construction in the then Sushil Koirala led government, had already decided to reward an Indian party by creating a big loss to the nation. Again, when he became the DPM and Home Minister now, Nidhi has said that the project will be constructed through a global tender. Nidhi has not made clear whether the project will be under the government ownership or will be constructed under the BOOT basis by rewarding the project to the Indian party! To recall, the Supreme Court had asked the then Sushil Koirala led government to suspend the project from rewarding the Indian party this responsibility. Later, after the controversy, the Oli led government had decided to construct the project by the government itself. Diplomatic observers believe that this government will try to delay in implementation of the important agreements signed with China by the Oli led government.